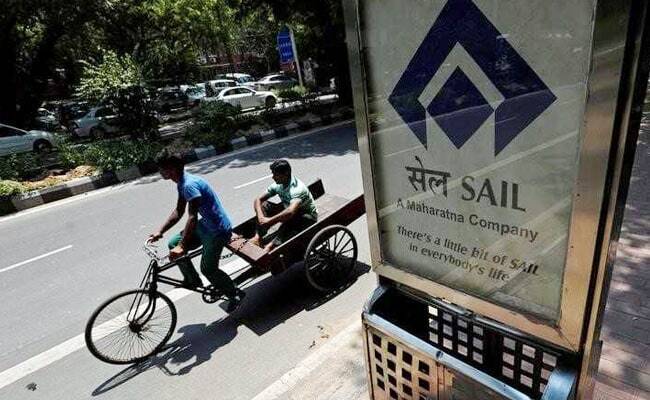 New Delhi: A parliamentary panel has said PSU steel giant SAIL must adopt necessary measures to remove all bottlenecks and focus on overall improvement in performance in view of competition from private players. Observing that Steel Authority of India Ltd (SAIL) achieved its highest ever hot metal production at 15.73 million tonnes (MT) during 2016-17, the Standing Committee on Coal and Steel, chaired by Rakesh Singh, said though physical parameters have improved, it should step up efforts. "SAIL should step up the good efforts for overall improvement in its physical performance so as to make the company more competitive with other players in the market," the 31-member committee said. The panel said it is concerned to note the poor performance of Rourkela Steel Plant, IISCO Steel Plant, Alloy Steel Plant and Visvesvaraya Steel Plant that could achieve only 79 per cent, 56 per cent, 38 per cent, 60 per cent and 33 per cent, respectively of their installed capacity of crude steel during 2016-17. "The company should take all necessary steps to address all the bottlenecks which hampers full capacity utilisation of these plants so that production targets for 2017-18 which are lagging behind during the first half of the year are fully achieved," the committee observed. It also directed the PSU to ensure that all its plants are operated at full installed capacity. The panel noted that though slowly and steadily SAIL has "managed to come on track after suffering initial setbacks during last two years, a lot is yet to be accomplished". It said the turnover of the company which was Rs 50,627 crore during 2014-15 was reduced to Rs 43,294 crore during 2015-16 and again rose to Rs 49,180 crore during 2016-17. Last year, steel minister Chaudhary Birender Singh had warned PSUs, including SAIL, to "perform or perish" saying complacency cannot be tolerated at a time when private players are excelling on various parameters. Chairing a meeting of chiefs of top steel PSUs, the minister had pulled up public sector firms like SAIL and RINL for not only lagging behind on international benchmarks, but were behind their private counterparts and complacent in ramping up capacities. "On production and productivity parameters, PSUs are far behind their counterparts in private sector. In terms of international benchmarks, performance of Indian steel companies is very poor," Singh had told PSU top brasses as per the ministry sources. Also pulling up SAIL for slow progress in modernization as well as ramping up of capacity, the minister has said deadlines were missed one after another which cannot be tolerated anymore.